Are you trying to build a reading culture in your home? This is definitely an area where homeschoolers have the opportunity to excel. Many homeschoolers already include reading aloud in their daily routine, use literature rich curriculum, and allow for a lot of free reading time. These are all great ways to communicate to our children the value we place on reading and books. Summer is just around the corner, and if you’re like many moms, you may be wondering how to get the kids off of technology and into a book once in a while, right? This is my “how-to guide” for summer reading for teens. April is National Poetry Month! Poems, in their many styles and forms, are being celebrated all around the world. Have you considered incorporating the celebration of poetry into your homeschool? Each year on April 12th, we celebrate a national day to honor reading. Even better, the whole month is often devoted to activities and events to encourage the love of reading in your children and within your family and circle of friends. The first D.E.A.R. Day was introduced in Beverly Cleary’s book Ramona Quimby, Age 8. The goal of the program is to make reading a regular part of everyone’s routine. Sometimes it’s difficult to sort through all of the massive amounts of information to discover what is truly useful to our homeschooling children or our own selves. With so many resources available both online and in everyday chatter among homeschooling families, internet searches, Pinterest and chat groups it can be hard to narrow down to what works versus what doesn’t. That’s why we wanted to bring you our favorite reading lists for homeschoolers. We’ve gathered our top reading lists, sorted them by relevant categories and organized them alphabetically. Looking for the best read alouds for your rambunctious boys? 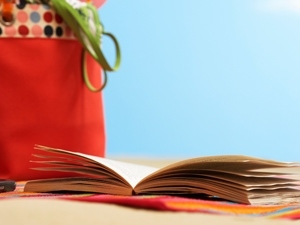 Don’t miss these 10 books to add to your library. Most grammar curricula is repetitive. 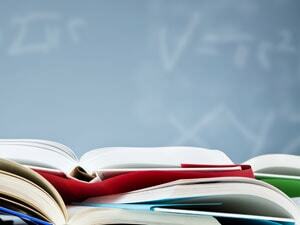 In fact, about half of the material taught each year is review. This repetition can inadvertently communicate to students that grammar isn’t something they have to remember. After all, they’ll be covering it again next year! If you want to make grammar lessons stick, you’ll want to adopt a new approach—regardless of the curriculum you’re using. I have three strategies for you. Christmas break is either coming up, or is already here for many of us homeschoolers. So, Mom, be sure to take some time for yourself this month. What better way to treat yourself this Christmas than to buy yourself a new, inspiring book. As Ann said, reading homeschooling books can re-ignite your motivation and remind you of the big picture. 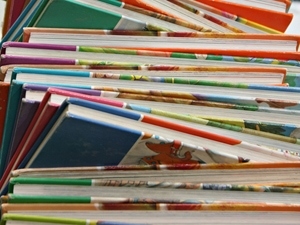 Enjoy this list of ten fabulous homeschool books, written by iHomeschool bloggers. Each book listed is available in digital format, so once you purchase, you’ll be immediately ready to snuggle up with a hot mug of your favorite drink and get reading! In order to raise readers, you must expose your children to a variety of positive reading experiences early on and often. These early experiences will foster a natural love of the written word. Read aloud early. Read aloud often. Read aloud even when your children can read independently.